Researchers at cybersecurity firm, Kaspersky Labs say one-in-ten people have now used Bitcoin and other cryptocurrencies to make purchases online. Also, data from Bitcoin directory service platform, Coinmap shows that businesses accepting Bitcoin have surged by more than 700 percent within the last six years. According to a survey by Kaspersky Labs, about 13 percent of people have used cryptocurrency as a payment method. The study collected responses from more than 12,000 consumers in 22 different countries. 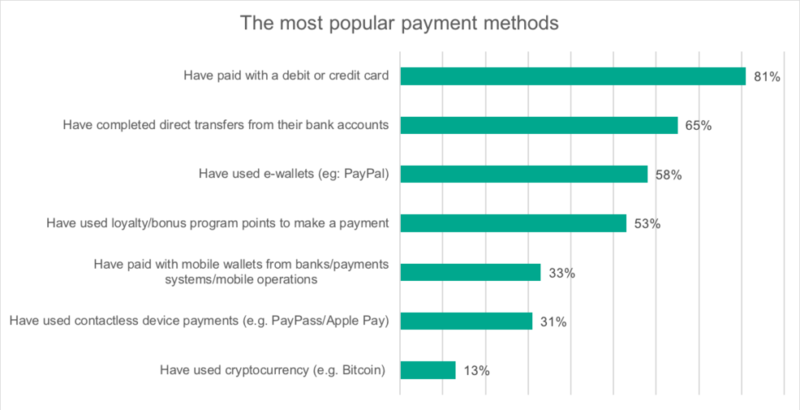 The results of the survey show that crypto use is still the least popular method with 81 percent of respondents saying they used credit/debit cards for online purchases. However, the implication of having 13 percent of people across multiple countries using Bitcoin is profound from an adoption point of view. Despite a fall in cryptocurrency prices, there is still a strong desire for digital transactions amongst consumers. Our consumer research has found that 13% of people have used cryptocurrency as a payment method, which was surprising to see. Cryptocurrency prices fell by more than 80 percent in 2018. However, a fraction of internet shoppers seem to have no problems using virtual currencies. More importantly, online retail outlets aren’t shying away from accepting cryptos. These results also counter the mainstream narrative that cryptos fund no utility in the online retail arena. Critics like JPMorgan would have people believe that merchants aren’t accepting BTC and crypto’s only appeal comes via risky speculative investments. Concerning the pace of BTC acceptance, data from Coinmap shows that businesses that accept Bitcoin across the globe have increased by 702 percent since December 2013. According to Coinmap, there are now 14,346 venues that accept BTC as against 1,789 recorded almost six years ago. Coinshares CEO, Ryan Radloff, showed this massive increase in BTC acceptance over the past five years in a tweet posted on Tuesday (February 12, 2019). 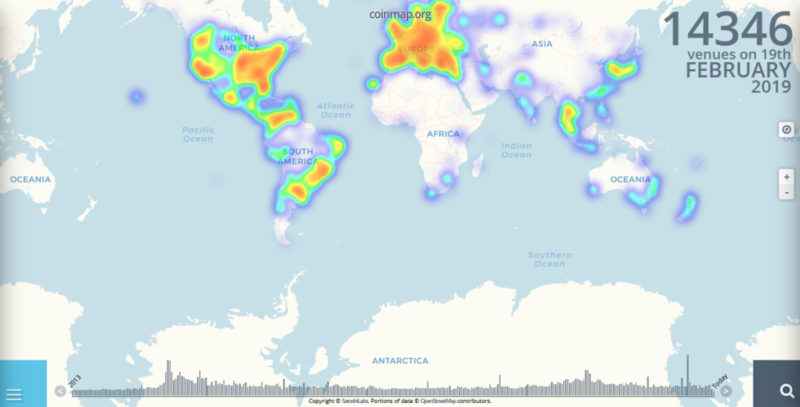 With increasing adoption in countries like Ecuador and Venezuela, the BTC acceptance heat map for the north of South America looks a lot different than it did six years ago. Reports show that these avenues aren’t restricted to online shopping platforms as brick-and-mortar establishments like Montessori schools and high-end restaurants are also adopting crypto payments. In stores across the United States, Europe, and Asia, the sign “Bitcoin accepted here,” is becoming less of a novelty. Have you used Bitcoin to pay for goods and services online? Share your experiences below! The post 13% Have Used Bitcoin to Buy Stuff Online: Kaspersky Labs Study appeared first on Bitcoinist.com.